The Program Assistant will support the implementation of the Child Protection and Child Rights Governance programme in Zanzibar under the direction of the Child Protection and Child Rights Governance Coordinator and in coordination with other CP/CRG team members. Save the Children delivers programming in Zanzibar (both islands, Unguja and Pemba) in the fields of Maternal New born and Child Health and Nutrition, Child Protection and Child Rights Governance, in coordination with the Revolutionary Government of Zanzibar, the Government of Tanzania and local partners. Through this work, Save the Children seeks to make contributions to child survival, eliminating Violence Against Children, including ending the use of physical and humiliating punishment in the home and school settings and preventing child sexual abuse and exploitation, as well as promoting child participation in public policy decision making. In Tanzania, Save the Children currently has operational presence in Dodoma, Kibondo, Shinyanga, Songwe and Zanzibar, as well as Dar es Salaam. We employ nearly 100 staff and have an annual operating budget of approximately $8 million. Willing to comply with all relevant Save the Children and procedures with respect to child rights and safeguarding, health and safety, equal opportunities and other relevant policies. Survive: Achieve reduction in Maternal Mortality to 230/100,000 live births and reduce stunting to levels accepted by the Government of Tanzania by 2030. Learn: Increase access to Early Childhood Care and Development with demonstrated readiness for primary school and increased transition rates for primary to secondary school for children. Be protected: Decision makers and the public alike acknowledge that violence against children constitutes a problem in the country and a full child protection system is put in place by various actors to prevent and respond to all forms of violence, abuse and exploitation of children. To reach these goals, Save the Children has developed a Country Strategic Plan for the period 2016-2018, with more specific outcomes to guide its work in Education, Child protection, Health and Nutrition and Child Rights Governance. Currently, Save the Children works with nearly 20 local partners and in support of the local governments in the following locations: Dar es Salaam, Dodoma, Kibondo, Shinyanga, Songwe and Zanzibar (Unguja and Pemba). In 2017, Save the Children reached almost 1,000,000 people in Tanzania. In Zanzibar (both islands, Unguja and Pemba) Save the Children delivers programming in the fields of Maternal New born and Child Health and Nutrition, Child Protection and Child Rights Governance, in coordination with the Revolutionary Government of Zanzibar, the Government of Tanzania and local partners. Through this work, Save the Children seeks to make contributions to child survival, eliminating Violence Against Children, as well as promoting child participation in public policy decision making. 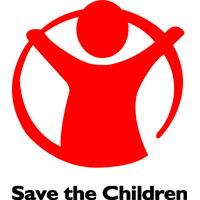 Specifically, Save the Children’s Child Protection initiatives focus mainly on ending the use of physical and humiliating punishment in the home and school settings and preventing child sexual abuse and exploitation. Save the Children is offering an internship opportunity specifically to support monitoring and evaluation of its Child Protection and Child Rights Governance projects in Zanzibar.